Better hearing everyday – now that’s worth a Cheer! 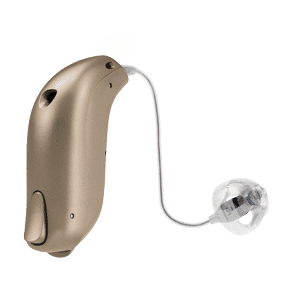 With the Sonic Innovations Cheer 40 you will be able to better experience the everyday moments that make life so precious. Cheer is a well-rounded lineup of products that feature impressive sound quality designed to keep sounds clear and natural. It all starts with the Sonic Speech Variable Processing platform which enhances overall speech clarity to help you feel more connected to the people around you. 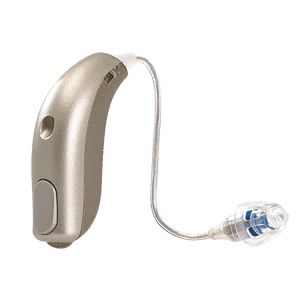 Speech Priority Noise Reduction – Works to separate speech from surrounding noise by constantly monitoring and managing incoming sounds, while leaving the speech signal intact. Speech Priority Noise Reduction provides listening comfort and preserves the intelligibility of speech. Adaptive Directional Microphone System– Cheer 60 hones in on the source of a sound and helps reduce unwanted noise so you can stay engaged in your surroundings. Binaural Coordination– Cheer can synchronize actions between the left and right devices. For example, volume and program changes made on one device automatically occur on the other at the same time. Wireless Accessories– Wireless connectivity puts Cheer into play with common technologies like TVs, mobile phones, MP3 players, and more.